Ladies and gentlemen, The Royal Oaks and Golden String Radio are proud to present Pabstolutely 7 set for Saturday, Sept. 13 at The Royal Oaks in Youngstown. Bands in order of appearance: (Bands 1-6 play 35 minutes, bands 6-12 play 45-50 minutes approximately). The show will start at approximately 1 p.m.. Admittance is free, $5 to drink. 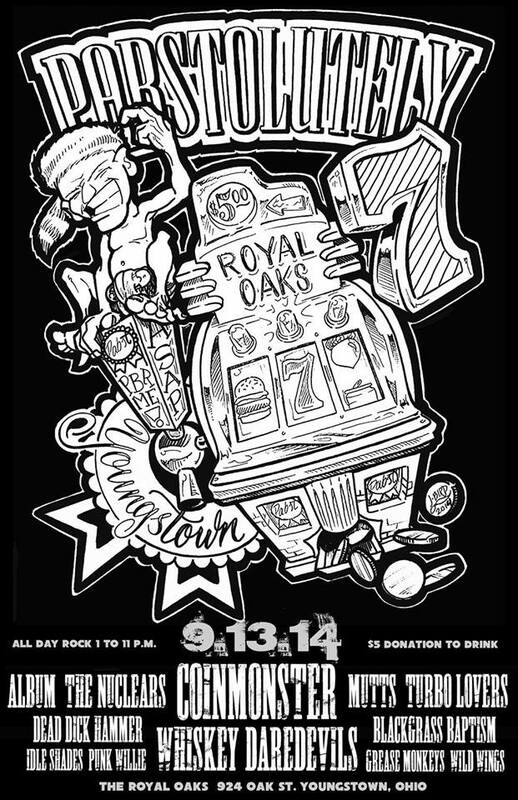 The event will feature vendors, raffles, food and of course plenty of Pabst Blue Ribbon! Pabstolutely benifits Golden String Inc., a non profit organization that provides recreational activities for adults and children with special needs in our surrounding communities.